Calling Samsung Wave S8500, The most powerful Smart phone by Samsung wouldn’t be wrong. The best thing about the beautiful phone which makes it different from all of the other phones is its Super AMOLED capacitive touchscreen. Some more features which are rarely found in some of the latest phones. Which can be purchased from best mobile contracts. The Operating System this tremendous phone uses is Bada OS, With over Thousands of Applications making it a best customizable phone. With CPU as powerful as ARM Cortex A8 1GHz, 1.5 GB system storage, 390 MB user available storage and over 32GB Expandable external MicroSD. With Powerful Camera (5 MP, 2592 x 1944 pixels, autofocus, LED flash Geo-tagging, face, smile and blink detection, image stablilization, touch focus) And Video (720p@30fps, video light). A-GPS support, Samsung Mobile Navigator. 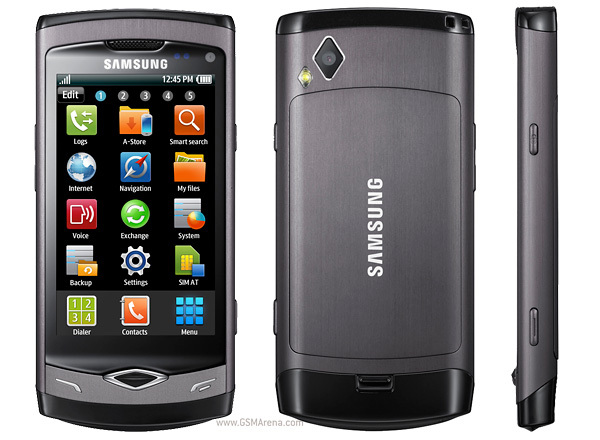 Samsung Wave S8500 which is only available in single color(Ebony Gray) and have over standby of 600 Hours, Talktime 15 Hours & Music Play up to 35 Hours.